In this escape game, you came to your native place for your holidays. But unfortunately, you noticed that your village is surrounded by Vampires and they trying to attack the village people. 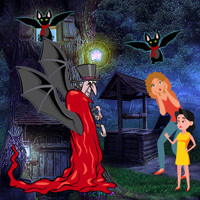 You have to rescue the village from that Vampires by finding useful objects, hints and solving puzzle.